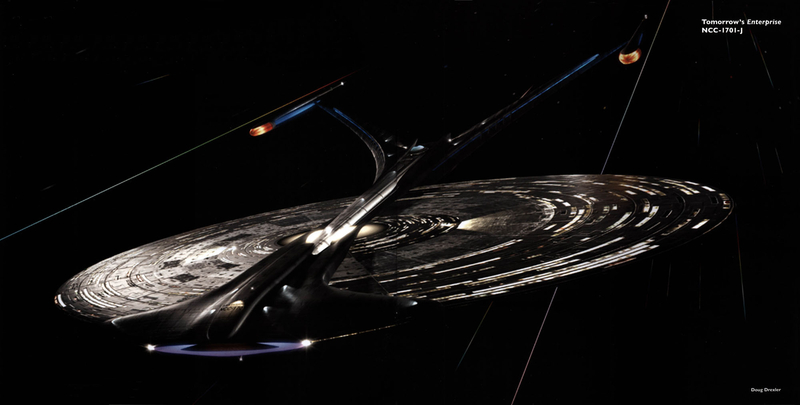 For the next Mega Event DB should give us the Enterprise J. An ugly ship portrayed in a picture in a mediocre episode. No, thanks. I disagree I think it looks quite good. I was never a fan of the "J". 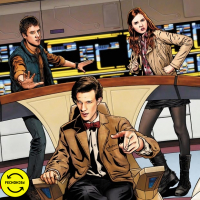 It makes zero sense for a ship from that far in the future to be using traditional warp drive. They're in a temporal war, based in the 26th century, yet their starship design looks barely improved on late-22nd to mid-24th century design. Yea this one was silly. Doesn't really make a lot of sense. Why does she need to be 3200 meters long? Plus you've only seen it from the one angle. It's awful looking from every other one. Can we get the E before we start looking for this? 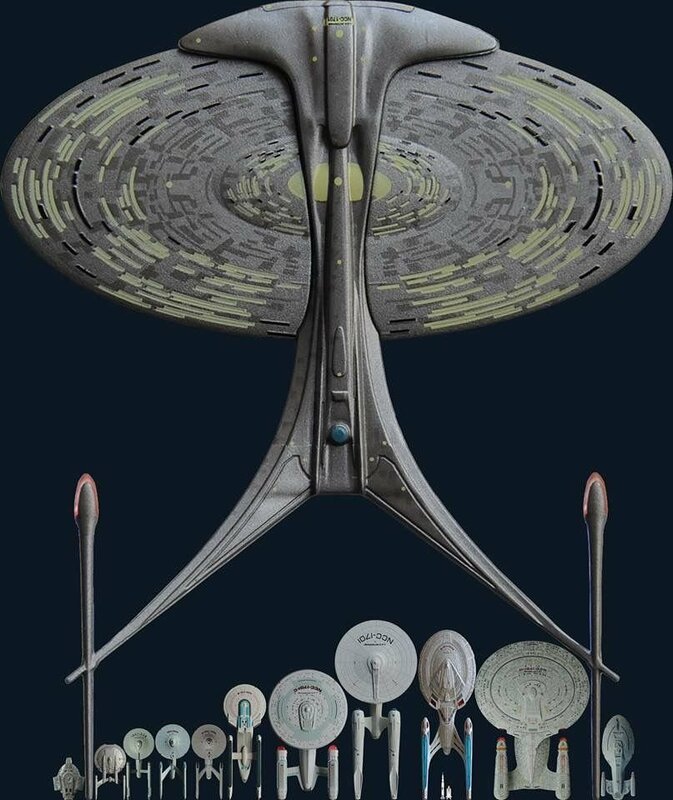 I'm sure we'll get it before the E.
What's interesting in retrospect is that the J's saucer design could conceivably rotate - a la displacement activated spore hub drive. Sorry, no, it's not spherical. Meanwhile, the sucker is almost 3000 meters wide and 3200 meters long. It's longer than a Borg Cube's side. This is a space station, not a ship. Mm, I could see it rotating in a fluidic motion. Spacial reality does tend to warp a bit during a Black Alert. 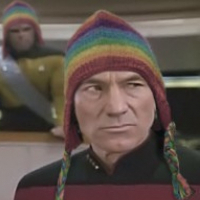 There were Xindi serving aboard Enterprise J. That could be used to tie into an event. How about instead of more new ships, they redo the 3D models they're using now and make them look better. Some of those ships they've recently thrown in look like junk. Enterprise-J is too big to use in the game if done to scale. If not done to scale, meh, what's the point? I'd much rather see the B from "Generations" and C from "Yesterday's Enterprise", as well as future D with three nacelles and phaser cannon from "All Good Things . 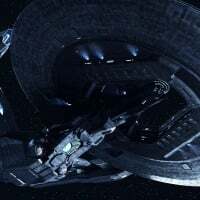 . .", than the J.
I'd love to see more Klingon ships. The Vor'cha or Negh'var would be cool. Three nacelle Enterprise is the best! I didn’t think about the scale issue. The picture on Memory Beta showing that the saucer section is longer than an Odyssey-class ship (which is I think itself 20% larger than the Sovereign-class) really hammers home how insanely large the J really is.